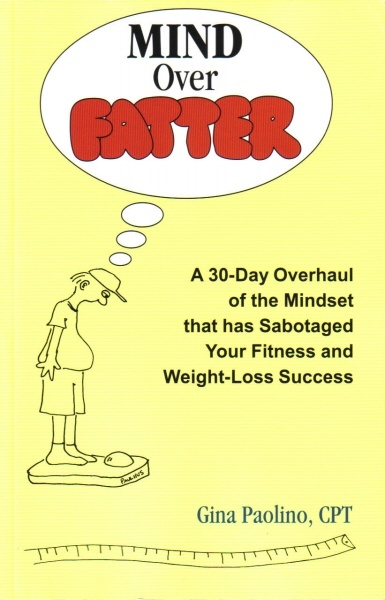 > E-Book: Mind Over Fatter by Gina Paulhus, C.P.T. A 30-Day Overhaul of the Mindset that has Sabotaged Your Fitness and Weight-Loss Success. Download the e-book today! Includes photos of described exercises, nutrition templates, and psychology of following a health and fitness plan. After purchase, your PDF will be emailed to the email address you provided to us. This may take up to 24 hours.